So much has been said and written about the Taj Mahal. The play is about Shah Jahan wanting to build Taj Mahal for his deceased wife Mumtaz Mahal and deals with greed, bureaucracy and corruption in modern times. The play kicks off with Emperor Shah Jahan on stage (played by Sanjay Popli) in conversation with Mr Gupta (played by Vijay Sharma) who is the chief engineer & his assistant Sodhi( Manjit Singh). This is a comedy that throws light on the rampant corruption that one may see today. Shah Jahan, who is keen to build his monument of love is helpless in front of Gupta ji. He gets stuck with its tender - sometimes he has to contend with an issue over the ground for it, sometimes it’s about the marble flooring to be used and other issues and he gets fed up. Soon, Aurangzeb also starts to object, saying it’s getting too expensive to do this. 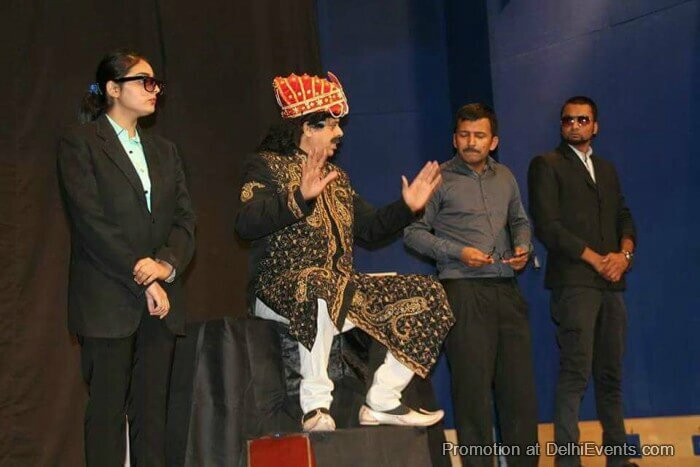 The conversation between all the characters and the situation they find themselves in, add to the humour on the stage.” 'Tajmahal ka Tender' has different vibrant characters – there is a bhaiyyaji( Tarun Oberia) who handles land contracts, then there is a neta, another person from the pollution department and more. Shah Jahan’s two darbaris are also worth looking out for.